Home Profile Directory Nebojsa I. Jaksic, Ph.D., P.E. Nebojsa I. Jaksic, Ph.D., P.E. 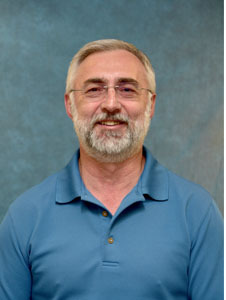 2010-present: Professor, Department of Engineering, Colorado State University-Pueblo. 2004-2010: Associate Professor, Department of Engineering, Colorado State University-Pueblo. 2000-2004: Assistant Professor, Department of Engineering, Colorado State University-Pueblo. 1997-2000: Associate Professor, DeVry University, Columbus, OH. 1995-1997: Graduate Teaching Associate, Industrial and Systems Engineering, The Ohio State University, Columbus, OH. 1994-1997: Assistant Professor, DeVry Institute of Technology, Columbus, OH. 1992-1994: Adjunct/Part-time instructor, DeVry Institute of Technology, Columbus, OH. 1989-1990: Graduate Research Associate, Geology Department, The Ohio State University, Columbus, OH. 1988-1989: Graduate Research Associate, Instruction and Research Computer Center, The Ohio State University, Columbus, OH. 1985-1988: Graduate Research Associate, Electrical Engineering Department, The Ohio State University, Columbus, OH. 1995-96, Consultant to Health Care Logistics, Circleville, OH. 1994-95, Consultant to Computer and Information Sciences Department, The Ohio State University, Columbus, OH. 1992-94, Consultant to Banc One Services Corporation, Columbus, OH. 2017-2018 Colorado State University – Pueblo, University Award for Excellence in Scholarly and Creative Activity for 2017/2018 Academic Year, Received April 12, 2018. 2017-2018 College of Education, Engineering, and Professional Studies, Recognition for Excellence in Scholarship/Creative Activity, Colorado State University - Pueblo, Received March 30, 2018. 2017 Best Paper Award, April – June 2017 Issue, for “Inexpensive Metal 3D Printers in Engineering Education: The Revolution Continues,” Transactions on Techniques in STEM Education, Vol. 2, No. 3 April-June 2017, pp. 100-110. 2015 ASEE, Computers in Education Division, 2014 Merl K. Miller Award: An annual award for the outstanding Computers in Education Journal paper on Teaching/Instruction for “Novel Experiential Learning Practices in Engineering Education Based on Inexpensive 3D Printers,” Computers in Education Journal, Vol. 5, No. 4, pp. 2-17, October-December 2014. 2014 ASEE, Honors for meritorious service as a member of the Board of Directors, Chair Council of Sections, Zone IV, 2012-2014. 2013-2014 College of Education, Engineering, and Professional Studies Outstanding Faculty Award, Colorado State University – Pueblo, April 21, 2014. 2013 ASEE-DELOS Best Paper Award in recognition of an outstanding contribution entitled: “DaNI-K: A Vision-based Robot Control Experiment with a DaNI Robot and Kinect Sensor,” 2013 ASEE Annual Conference and Exhibition, Atlanta, GA, June 23-26, 2013. 2012 – 2013 University Award for Faculty Excellence in Scholarship and Creative Activity, Colorado State University – Pueblo, April 16, 2013. 2009 ASEE-RMS Best Paper Award with Sarper and S. Imam, for contribution entitled: “Lander Design Project for Autonomous Rovers,” Proceedings of 2009 ASEE Rocky Mountain Section Annual Conference, Orem, UT, April 10-11, 2009. 2008 Outstanding Service Award in recognition of an outstanding commitment, dedication and service to “DELOS and ASEE” presented at 2008 ASEE Annual Conference and Exposition, Pittsburgh, PA, June 22-25, 2008. 2007 Design R&D Paper Category Finalist with Melinda M. Szabo for the application titled: “Design of an Atomic Force Microscope Using NI ELVIS and LabVIEW,” NI Week 2007, Austin, TX, August 7-9, 2007. 2006 ASEE-DELOS Best Paper Award in recognition of an outstanding contribution entitled: “A Nanotechnology Experiment: Design of Low Cost Scanning Tunneling Microscopes,” 2006 ASEE Annual Conference, Chicago, IL, June 18-21, 2006. Society of Manufacturing Engineers Robotics Competition, First Prize in Robotics Sumo Competition, Michigan 1995. Jaksic and P. Desai, “Characterization of Resistors Created by Fused Filament Fabrication using Electrically-Conductive Filament,” Procedia Manufacturing 17, pp. 37-44, FAIM 2018, 28th International Conference on Flexible Automation and Intelligent Manufacturing, Columbus, OH, June 10-14, 2018. Sarper and N. Jaksic, “Evaluation of Procurement Scenarios in One-Dimensional Cutting Stock Problem with a Random Demand Mix,” Procedia Manufacturing 17, pp. 827-834, FAIM 2018, 28th International Conference on Flexible Automation and Intelligent Manufacturing, Columbus, OH, June 10-14, 2018. Ansaf, T. H. Duong, N. Jaksic, J. L. DePalma, A. H. Al-Allaq, B. M. Deherrera, and B. Li, “Influence of Temperature and Humidity on Electromechanical Characteristics of Ionic Polymer-Metal Composite Actuators, Procedia Manufacturing 17, pp. 960-967, FAIM 2018, 28th International Conference on Flexible Automation and Intelligent Manufacturing, Columbus, OH, June 10-14, 2018. H. Duong, N. Jaksic, J. L. DePalma, B. Ansaf, D. M. Daniel, J. Armijo, and M. Galaviz, “G-code Visualization and Editing Program for Inexpensive Metal 3D Printing,” Procedia Manufacturing 17, pp. 22-28, FAIM 2018, 28th International Conference on Flexible Automation and Intelligent Manufacturing, Columbus, OH, June 10-14, 2018. Jaksic, “Learning Nanotechnology through Experimentation: Carbon Nanotube Manufacturing using an Electric Discharge Machine,” Nanotechnology Reviews, Vol. 1, Issue 3, pp. 281-287, June 2012. What Mindstorms and DARPA Urban Challenge have in Common,” Computers in Education Journal, Special issue on Novel Approaches to Robotics Education, Vol. 1/3, pp. 32-40, July – September, 2010. M. Fraser, N. Jaksic, D. Yuan, W. A. Bloxsom, J. DePalma, H. Sarper, and E. K. Sinkhorn. “An Engineering Capstone: The Class as a Job.” Creative College Teaching Journal, Capstone Issue, Vol. 5, No. 1, pp. 23 – 32, Fall 2009. Jaksic and D. Spencer, “Multidisciplinary Robotics Experiment: LEGO Mindstorms NXT Bluetooth Convoy,” International Journal of Modern Engineering, Vol. 10, No. 1, pp. 5 – 10, Fall/Winter 2009. Jaksic and C. Salahifar, “A Feasibility Study of Electrochromic Windows in Vehicles,” Solar Energy Materials & Solar Cells, Vol. 79/4 pp 409-423, 2003. Jaksic and G. Maul, “Flexible Air-Jet Tooling for Vibratory Bowl Feeder Systems,” International Journal of Flexible Manufacturing Systems, Vol. 14, No 3, pp. 227-248, July 2002. Jaksic and G. Maul, “Development of a Model for Part Reorientation in Vibratory Bowl Feeders with Active Air Jet Tooling”, Robotics and Computer Integrated Manufacturing, Vol. 17/1-2, pp. 145-149, 2001. Maul and N. Jaksic, “Sensor-Based Solution to Contiguous and Overlapping Parts in Vibratory Bowl Feeders”, Journal of Manufacturing Systems, Vol. 13, No. 13, pp. 190-195, 1994. Potkonjak and N. Jaksic, "A Contribution to Computer-Aided Choice of DC Motors for Manipulation Robots," Robotica, UK, Vol. 4, pp. 37-41, Jan. - Mar. 1986. Jaksic, N. D’Angelo, and G. Vigano, “Inexpensive Metal 3D Printers in Engineering Education: The Revolution Continues,” 2016 ASEE Rocky Mountain Section Conference, Cedar City, UT, pp. 23 – 34, Sept. 30 – Oct. 1, 2016. M. Fraser, Leonardo Bedoya-Valencia, Jude L. DePalma, Ding Yuan, Nebojsa I. Jaksic, Ananda Mani Paudel, and Hüseyin Sarper. “Integration of Sustainability in a Multidisciplinary Engineering Department.” 2015 ASEE Annual Conference & Exposition, Seattle, WA, June 14 – 17, 2015. Jaksic, “When 3D-printers go Wrong: Laboratory Experiences,” 2015 ASEE Annual Conference and Exhibition, Seattle, WA, June 14-17, 2015. 3D-Printed Parts,” 2015 ASEE Annual Conference and Exhibition, Seattle, WA, June 14-17, 2015. Jaksic, J. DePalma, P. Desai, and R. Van Deest, “3D-Printed Smart Lamp Workshop,” 2015 ASEE Annual Conference and Exhibition, Seattle, WA, June 14-17, 2015. Jaksic, “Post-processing 3D-printed Plastic Objects: Laboratory Tools, Techniques, and Experiences,” 2015 ASEE Rocky Mountain Section Conference, Denver, CO, pp. 27-34, April 10-11, 2015. Jaksic, “New Inexpensive 3D Printers Open Doors to Novel Experiential Learning Practices in Engineering Education,” 2014 ASEE Annual Conference and Exhibition, Indianapolis, IN, June 15-18, 2014. Fraser, N. Jaksic, H. Sarper, J. DePalma, D. Yuan, L. Bedoya, and A. Paudel, “Integration of Sustainability in a Multidisciplinary Engineering Department,” 2014 ASEE Annual Conference and Exhibition, Indianapolis, IN, June 15-18, 2014. Jaksic, “A Brainwriting Exercise on Improving Engineering Programs, 2014 ASEE Zone IV Conference, Long Beach, CA, April 24-26, 2014. Yuan, N. Jaksic, and J. DePalma, “LEGO Mindstorms: EV3 versus NXT 2.0 A Laboratory Study in an Introduction to Engineering Course,” 2014 ASEE Zone IV Conference, Long Beach, CA, April 24-26, 2014. Dillon, H. Sarper, N. Jaksic, and J. DePalma, “A Multi-year Student Project: Demonstration of Production of Necessary Gases for Return from and Survival on Mars ­­‑ Automated Methane, Oxygen, and Hydrogen Production Using a Solar Powered Electrolysis Tank and a Table Top Sabatier Reactor,” 2014 ASEE Zone IV Conference, Long Beach, CA, April 24-26, 2014. Jaksic, “DaNI-K: A Vision-based Robot Control Experiment with a DaNI Robot and Kinect Sensor,” 2013 ASEE Annual Conference and Exhibition, Atlanta, GA, June 23-26, 2013. Fraser, H. Sarper, J. DePalma, N. Jaksic, D. Yuan, L. Bedoya-Valencia, and A. Paudel, “Community Outreach and Engagement through Sustainability,” 2013 ASEE Annual Conference and Exhibition, Atlanta, GA, June 23-26, 2013. Paudel, N. Jaksic, R. Florom, J. Fraser, and T. McGettigan, “The Role of Engineering Education in Building Workforce Capacity for the Railroad Industry,” 2013 ASEE Rocky Mountain Section Conference, pp. 135-144, Pueblo, CO, March 29-30, 2013. Jaksic, H. Sarper, J. Fraser, J. DePalma, D. Yuan, L. Bedoya-Valencia, and A. Paudel, “Synergy between MSISE and MSE Curricula at Colorado State University-Pueblo,” 2013 ASEE Rocky Mountain Section Conference, pp. 127-134, Pueblo, CO, March 29-30, 2013. Jaksic and D. Yuan, “All Aboard: Engineers for an MS in Railroad Engineering,” 2013 ASEE Rocky Mountain Section Conference, pp. 92-99, Pueblo, CO, March 29-30, 2013. Jaksic, “A Mechatronics Experiment: Introduction to Linear Motors,” 2012 ASEE Annual Conference and Exhibition, San Antonio, TX, June 10-13, 2012. Bedoya-Valencia and N. Jaksic, “An Exercise for Improving the Modeling Abilities of Students in an Operations Research Course,” 2012 ASEE Annual Conference and Exhibition, San Antonio, TX, June 10-13, 2012. Jaksic, J. Fraser, and D. Yuan, “The Rise of the Intelligent Machines Masters: An MS Mechatronics Program,” 2012 ASEE RMS Conference, Ogden, UT, March 2-3, 2012. Sarper, J. DePalma, A. Gabaldon, N. Jaksic, P. Wallace, and S. Trevithick, “Design, Construction, and Operation of a Three Point Bending Tester Machine to Evaluate the Strength of Rat Bones,” 2012 ASEE RMS Conference, Ogden, UT, March 2-3, 2012. Jaksic, “S-Field Analysis Innovation Method Exercise in a Computer-Integrated Manufacturing Course,” 2011 ASEE Annual Conference and Exhibition, Vancouver, Canada, June 26-29, 2011. Yuan, J. DePalma, N. Jaksic, and J. Fraser, “A Learning Community for First-Year Engineering Courses,“ 2011 ASEE Annual Conference and Exhibition, Vancouver, Canada, June 26-29, 2011. Bedoya-Valencia and N. Jaksic, “Improving the Modeling Capabilities of Students in an Operations Research Course,” 2011 ASEE Rocky Mountain Section Conference, Rapid City, SD, April 15-16, 2011. Jaksic and C. Buesch, “Automated Production of Nanocomposites with Carbon Nanotubes,” 2010 Flexible Automation and Intelligent Manufacturing Conference, pp. 744-751, Hayward, CA, July 12-14, 2010. Jaksic, J. Piquette, M. Druelinger, D. Lehmpuhl, H. Caprioglio, J. Cho, P. Chacon, and M. Mincic, “Maturing of a Multidisciplinary Cohort of STEM Scholars: Year Three,” 2010 ASEE Zone IV Conference, pp. 121-131, Reno, NV, March 25-27, 2010 – Peer reviewed. Yuan, J. DePalma, and N. Jaksic, “A Learning Community for First-Year Engineering Courses,” 2010 ASEE Zone IV Conference, pp. 44-47, Reno, NV, March 25-27, 2010, Work in Progress – Peer reviewed. Jaksic and G. Mohandass, “An Experimental Analysis of Bernoulli-type End Effectors for Contact Manipulation of Irregularly Shaped Objects,” 2009 Flexible Automation and Intelligent Manufacturing Conference, pp. 444-451, Middlesbrough, UK, July 6-8, 2009. Jaksic and D. Spencer, “A Manufacturing Processes Laboratory: What Book-Making and Sheet-Metalworking have in Common,” 2009 ASEE Annual Conference and Exhibition, Austin, TX, June 14-17 2009. Yuan, N. Jaksic, and J. M. Fraser, “Start Earlier, Prepare Better: An Engineering Senior Seminar Course,” 2009 ASEE Annual Conference and Exhibition, Austin, TX, June 14-17 2009. Jaksic, E. K. Sinkhorn, M. Druelinger, D. Lehmpuhl, H. Caprioglio, Y. Long, P. Chacon, M. Mincic, J. Mclean, J. Borton, and J. Piquette, “Multidisciplinary Cohorts of STEM Scholars: Challenges and Rewards,” Proceedings of 2009 ASEE Rocky Mountain Section Annual Conference, Orem, UT, April 10-11, 2009. Jaksic, “A Nanotechnology Experiment for Undergraduate Engineering Programs: Carbon Nanotube Production using Electric Discharge Machining,” Proceedings of 2008 ASEE Annual Conference, Pittsburgh, PA, June 22-25, 2008. Jaksic and D. Spencer, “A Multidisciplinary Laboratory Course: Robotic Design and Programming with Mindstorms,” Proceedings of 2008 ASEE Annual Conference, Pittsburgh, PA, June 22-25, 2008. Jaksic, “A Manufacturing Laboratory: Book Making,” Proceedings of 2008 ASEE Rocky Mountain Section Annual Conference, pp. 103-114, Pueblo, CO, April 18-19, 2008. Yuan, N. Jaksic, and J. M. Fraser“A Senior Seminar Engineering Course,” Proceedings of 2008 ASEE Rocky Mountain Section Annual Conference, pp. 36-41, Pueblo, CO, April 18-19, 2008. M. Fraser, W. A. Bloxsom, J. DePalma, N. Jaksic, H. Sarper, E. K. Sinkhorn, and D. Yuan, “The Capstone Course as a Real Job,” Proceedings of 2008 ASEE Rocky Mountain Section Annual Conference, pp. 42-46, Pueblo, CO, April 18-19, 2008. Jaksic and D. Spencer, “An Introduction to Mechatronics Experiment: LEGO Mindstorms NXT Urban Challenge,” 2007 ASEE Annual Conference, Honolulu, HI, June 24-27, 2007. Jaksic and D. Spencer, “Mini Urban Challenge using LEGO Mindstorms NXT Autonomous Robots,” Robotica 2007, The 7th Conference on Mobile Robots and Competitions, Paderne, Algarve, Portugal, April 27, 2007. Jaksic and G. Mohandass, “A Nanotechnology Experiment: Carbon Nanotube Synthesis in Electric Discharge Machines,” Proceedings of ASEE Rocky Mountain Section Annual Conference, Provo, UT, April 20-21, 2007. Jaksic, “A Design-Based Nanotechnology Course for Undergraduate Industrial Engineering Students,” 2006 Annual Industrial Engineering Research Conference, Orlando, FL, May 20-24, 2006. Jaksic, G. Mohandass, and B. Unruh, “Health Risks in Multiwall Carbon Nanotube Production Using Arc Discharge in Liquid Nitrogen,” 2006 Annual Industrial Engineering Research Conference, Orlando, FL, May 20-24, 2006. Jaksic, J. Fraser, H. Carrasco, J. DePalma, E. K. Sinkhorn, and H. Sarper, “Synergy between Industrial Engineering and Mechatronics Curricula at Colorado State University – Pueblo,” 2006 Annual Industrial Engineering Research Conference, Orlando, FL, May 20-24, 2006. Jaksic, “Improving Self-Efficacy in Engineering Students using PLC Based Traffic Light Experiments,” 2002 American Society for Engineering Education Annual Conference and Exposition Proceedings, Montreal, Canada, June 17-19, 2002. Jaksic and G. Maul, “Orienting Parts in a Plane Parallel to the Bowl Wall in Vibratory Bowl Feeders with Active Air Jet Tooling,” Annual Industrial Engineering Research Conference Proceedings, Dallas, Texas, May 20-22, 2001. Jaksic and G. Maul, “Orienting Parts in a Plane Normal to the Track and the Bowl Wall of a Vibratory Bowl Feeder with Active Air-jet Tooling”, Fifth International Conference on Engineering Design and Automation Proceedings, pp. 97-102, Las Vegas, Nevada, August 5-8, 2001. Jaksic and G. Maul, “Empirical Study of Air-Jet Forces in Active Vibratory Bowl Feeder Tooling”, Fourth International Conference on Engineering Design and Automation Proceedings, pp. 321-326, Orlando, Florida, July 24-26, 2000. Second International Conference on Engineering Design and Automation Proceedings, Hawaii, August 1998. Jaksic and M. Szabo, “Design of an Atomic Force Microscope Using NI ELVIS and LabVIEW,” NI Week 2007, Austin, TX, Paper Contest Finalist in Design R&D Category, August 7-9, 2007. Sarper, R. Malhotra, S. Dede, N. Jaksic, D. Lehmpuhl, H. Carrasco, W. Sauer, and P. Wallace, ”Use of Biomass and Fly ash in Briquette Production for Power Plants,” Proceedings of the 15th European Biomass Conference and Exhibition, Paper V3.I.21, pp. 2440-2447, Berlin, Germany, May 7-11, 2007. Jaksic, “Nanoscience, Nanoengineering and Nanotechnology Education at Colorado State University – Pueblo,” Proceedings of 2006 Materials Research Society Spring Meeting, San Francisco, CA, April 17-21, 2006. Jaksic and M. Adali, “An Inexpensive Low Voltage Scanning Tunneling Microscope for Undergraduate Laboratories,” NATO-Advance Study Institute (ASI) Nanoengineered Nanofibrous Materials, Antalya, Turkey, September 1-12, 2003. Jaksic, “High-Speed Smooth Cyclical Motion of a Hydraulic Cylinder,” 12th International Conference on Flexible Automation and Intelligent Manufacturing 2002, Proceedings, pp. 846-857, Dresden, Germany, July 15-17, 2002. Jaksic, “Generating Smooth Cyclical Motion for a Hydraulic Cylinder,” 11th International Conference on Flexible Automation and Intelligent Manufacturing Proceedings, Vol. 1, pp. 167-176, Dublin, Ireland, July 16-18, 2001. N. Jaksic and G. Maul, “Modeling and Control of an Air-Jet Based Vibratory Bowl Feeder Orienting System”, 10th International Conference on Flexible Automation and Intelligent Manufacturing Proceedings, Vol. 2, pp. 1066-1073, Maryland, June 26-28, 2000. Jaksic, “Methods and Apparatus for Manufacturing Carbon Nanotubes,” U.S. Patent 7,816,619, Issued on Oct. 19, 2010. Jaksic, “Method for Manipulating Objects,” U.S. Patent 7,516,995 B2, Issued on April 14, 2009.